At Maltalingua we love to go to all the great events happening in September and October in Malta. We’ve used our insider knowledge to create the following list of the best events in Malta in Autumn 2017. While most of Europe is becoming chilly in Autumn, Malta gets lovely average temperatures of around 26 degrees in the daytime. The sea temperate also stays warm enough for most people to swim right into November. These comfortable temperatures make Autumn a great time for events in Malta, and people here make the most of it! Malta was a British Colony for 164 years until 21 September 1964 when the country gained its political independence. People here are very proud of their country and they love to celebrate the nation’s achievements. Independence Day is one of the most special, as such there are celebrations all over their islands. Some of the best celebrations can be found in the capital city, Valletta. This year marks the 25th anniversary of the Malta International Airshow. The show has grown in one of Malta’s most popular, and most photographed events. Spectators can be amazed by the incredible acrobatic skills of top stunt pilots from around the globe. You’ll also get a close look at these incredible aircraft. At Rockestra music fans can see very different genres of music collide. It’s a dazzling show of rock and pop covers played by the orchestra with special guest singers and rock musicians bringing something a little different to proceedings. The Malta Classic is the perfect event for fans of classic cars and motor racing. 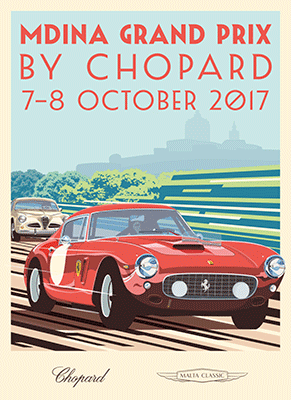 Set in the stunning city of Mdina, classic car enthusiasts show off their beloved machines then take to the roads to compete in the races. The main event is the Mdina Grand Prix held on the 7 and 8th of October. During the “white night” the cultural centers of Valletta light and open to the public late into the evening. Museums, galleries and even the parliament building welcome visitors for free. There are also many lively attractions happening on the streets of this beautiful city. On an island famous for its lavish village feasts, it takes something really special to gain the reputation of being the most beautiful of all. For one night of the year, the city of Birgu is covered in candles and transformed. The effect is spectacular and walking through the narrow historic back streets bathed in candlelight is a truly memorable and romantic experience. Now coming into its 38th year, Malta’s number one sailing race has become one of the top events of the yearly calendar. Visitors can take a stroll along the Birgu waterfront to see the great vessels close-up or just watch them departing from the any of the bastion walls overlooking the Grand Harbour. It’s a sight to remember! Want information about all the best events in Malta in 2017? Then check out our Malta Events 2017 page. Which events would you most like to go to? Are there any you think we’ve missed? Leave a comment to let us know!